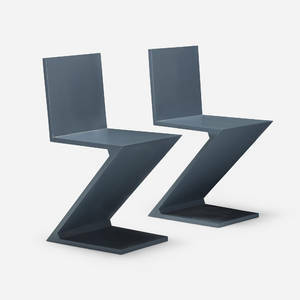 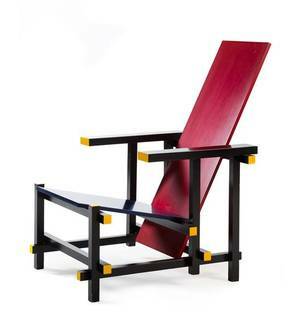 Originally designed in 1918, this chair mid to late 20th century, after the de Stijl architect and designer, Gerrit Rietveld (Dutch, 18881964). 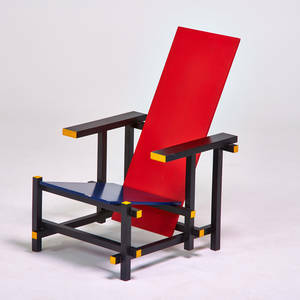 Chair composed of horizontal and vertical planes of stained pine and plywood in color scheme of primary colors (red, yellow, blue) plus black. 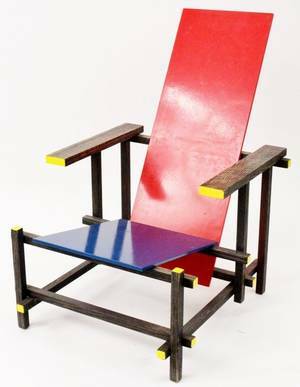 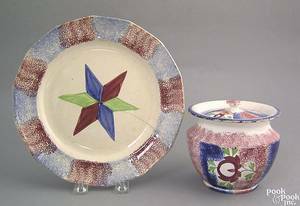 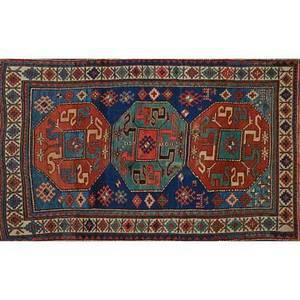 After gerrit rietveld; palazzetti; "red and blue chair," italy, 1980s; enameled woods; labeled; 35" x 24" x 32"
Persian kazak area rug; red and blue medallions with geometric design on blue ground, early 20th c.; 60" x 42"